Old Navy has a stellar sale on now may as well call it a Boxing Day Sale! 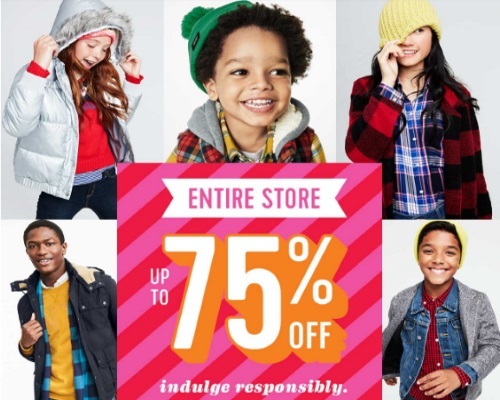 Their entire store is up to 75% off! This sale is in-store and online for a limited time. Also online they are offering an additional 20% off online, no coupon promo needed, the discount comes off at checkout.